BIOVIA of Dassault Systèmes creates end-to-end data-based and virtual experiences for innovating, developing and manufacturing science-based products. Dassault Systèmes’ brand, BIOVIA® provides a scientific collaborative environment for advanced biological, chemical and materials experiences that help science-and process-driven companies develop higher quality products faster and more cost effectively. BIOVIA’s sophisticated enterprise system of modeling, simulation, laboratory, quality and process data management allows customers to discover, design, deploy and deliver innovative sustainable and competitive products to consumers globally. 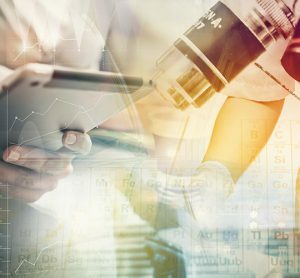 Using BIOVIA technology organisations can access, organise, analyse and share scientific data in unprecedented ways throughout the product lifecycle from early product ideation to manufacturing and commercialisation in regulated and non-regulated environments.